Riding the swells of the great Pacific tucked away safely in a POWERED RIGID-HULL INFLATABLE BOAT is an experience that puts a whole new perspective on an adventure at sea. Commonly called OCEAN RAFTS, these stable, high-performance boats resemble rescue crafts, which is one thing they’re used for. They’re also used for fun and adventure. Typically carrying no more than 35 passengers, a rafting trip almost always includes SNORKEL STOPS in Kealakekua and Honaunau bays. In a raft, you can enter sea caves and lava tubes and get a good look at dolphins, sea turtles and whales. The waters off the South Kona coast are among the calmest in the state, which makes rafting here generally comfortable. 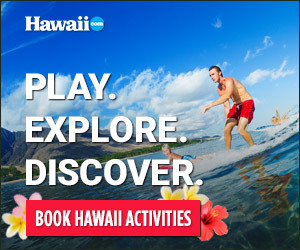 Most rafting tours, like SPLASHER’S OCEAN ADVENTURES, depart from Honokohau Marina near Kailua-Kona and travel along the Kona Coast to snorkeling destinations; DOLPHIN DISCOVERIES and SEA QUEST launch from Keauhou Bay, the closest boat harbor to the island’s most-coveted snorkeling sites. Morning and afternoon TOURS are available and generally take three or four hours to complete. Some boats are equipped with canopies for shade and ladders to provide water access. Widely known as the “original ocean rafting company,” CAPTAIN ZODIAC has been entertaining guests with rip-roaring OCEAN TOURS aboard its fleet of military boats since 1974. Its Beat the Crowd tour arrives at Kealakekua Bay Marine Preserve when fewer people are there, ensuring intimate, unobstructed views of marine life, dolphins and whales. Captain Zodiac’s signature exploration of sea caves and blowholes along the coastline is another popular option.